Sunshine means it's almost time for berry season! 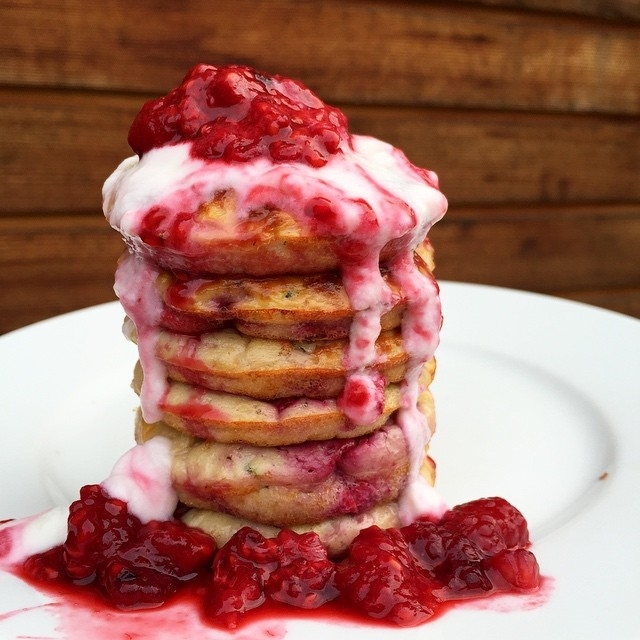 What better way to enjoy spring than with a good stack of creamy pancakes! Shred zucchini. Mix together with rest of ingredients except water/milk. Slowly add in liquid tbsp by tbsp until you get a muffin like batter. Do not over mix.